The read.csv function is very useful to import the csv files from file system and URLs, and store the data in a Data Frame. 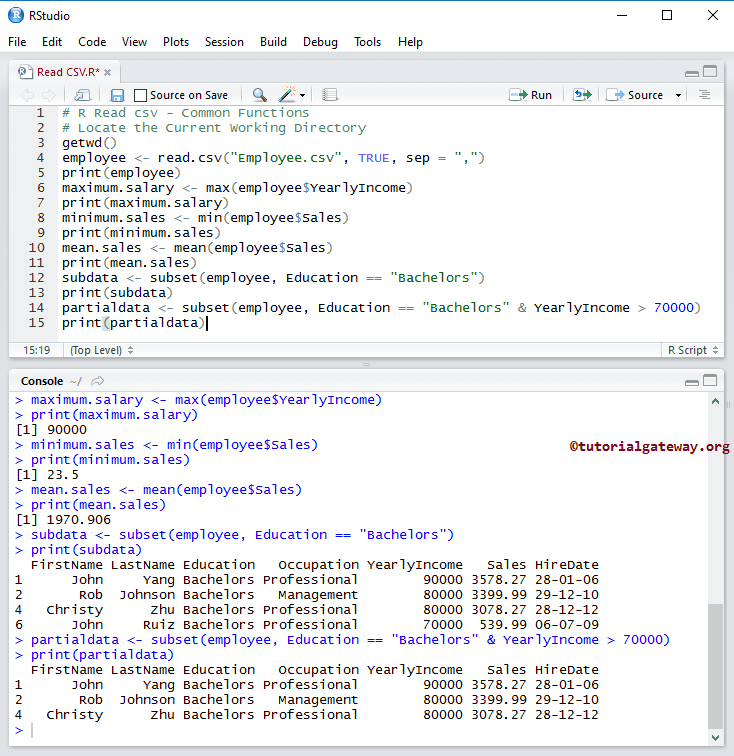 In this article we will show you, How to use this R read csv function, how to manipulate the csv data in R Programming with example. strip.white: When the sep argument is not equal to “” then you can use this Boolean value to trim the extra leading and tailing white spaces from the character field. comment.char: If there are any comment lines in your file then you can use this argument to ignore those lines. You have describe the single special character that you used for comment line. For example, if your data contains comment starting with $ then use comment.char = “$” to skip this comment line from reading. stringsAsFactors: Boolean Value indicating whether the text fields present in the csv file should be converted to factors or not. 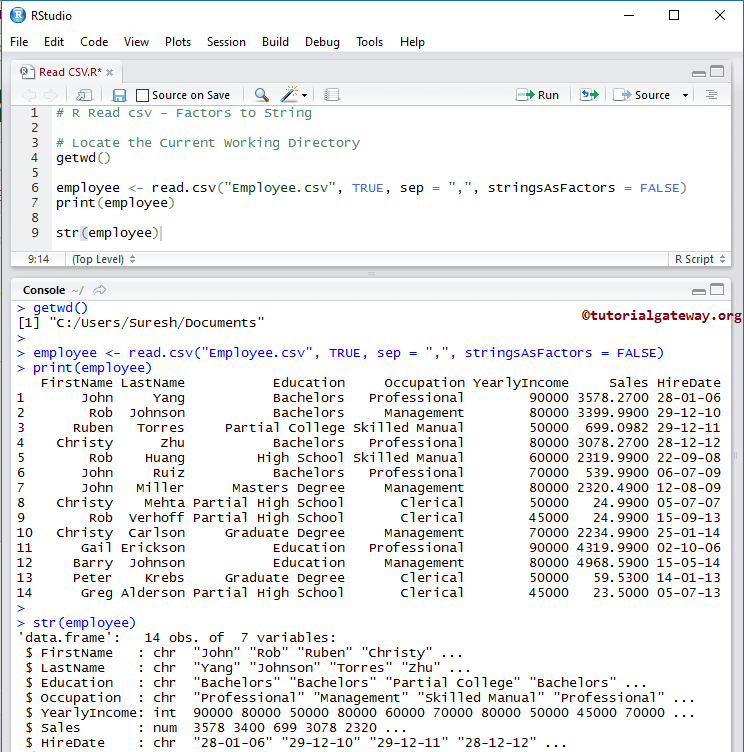 In this example we will show you, How to read data from the csv (comma separated values) file that is present in the current working directory. 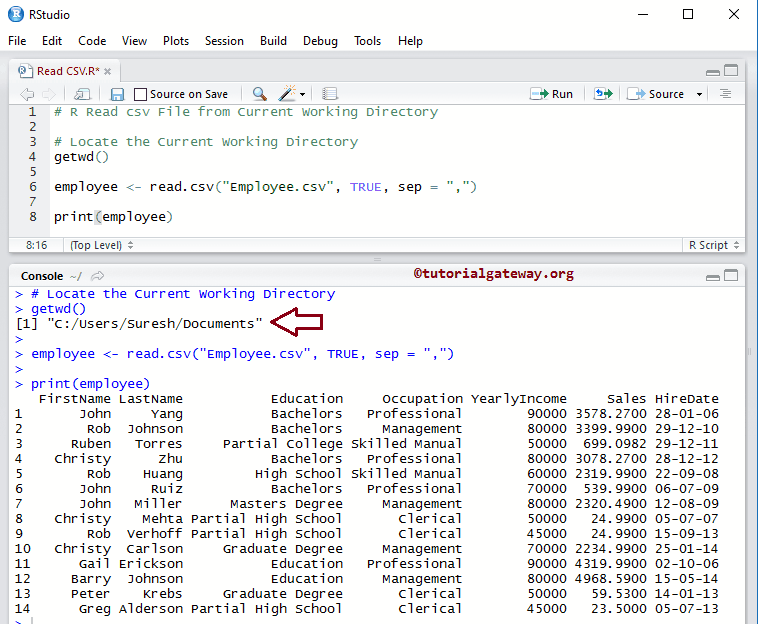 In this example we will show you, How to read data from the csv file that is present in the custom directory. In R programming, read.csv function will automatically convert the data into Data Frame. 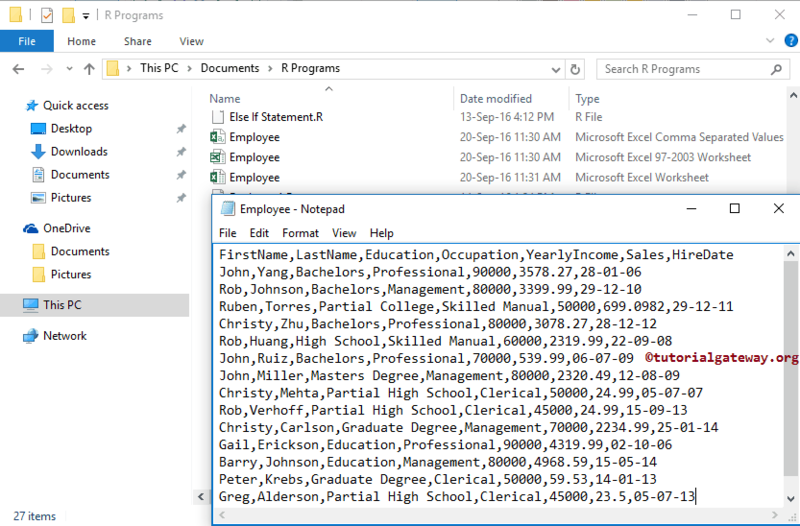 So, all the functions that are supported by the Data Frame can be used on csv data. 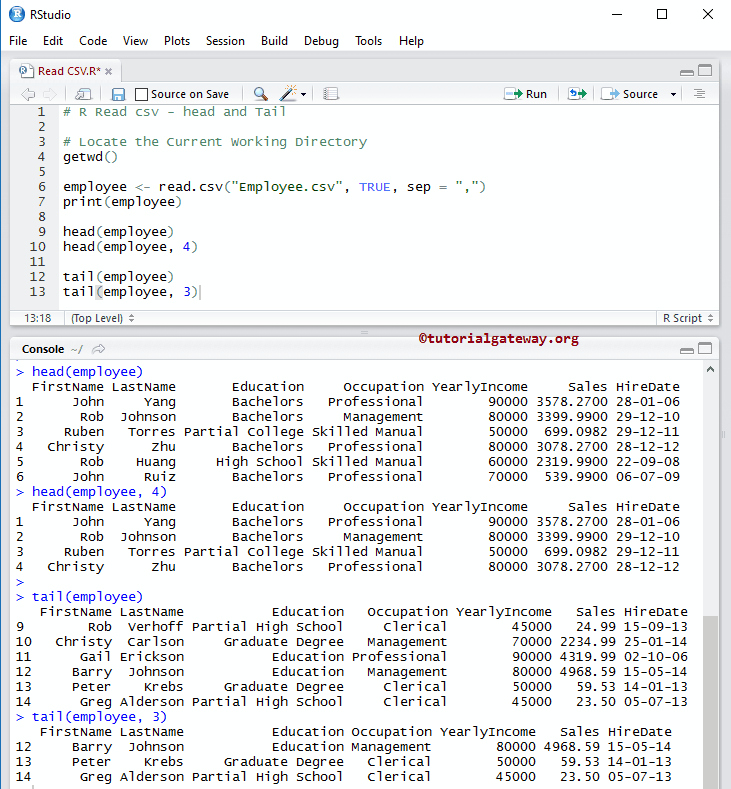 Please refer Data Frame in R article to understand the functions description. While we are working with csv files in R programming, Following functions are the common function. 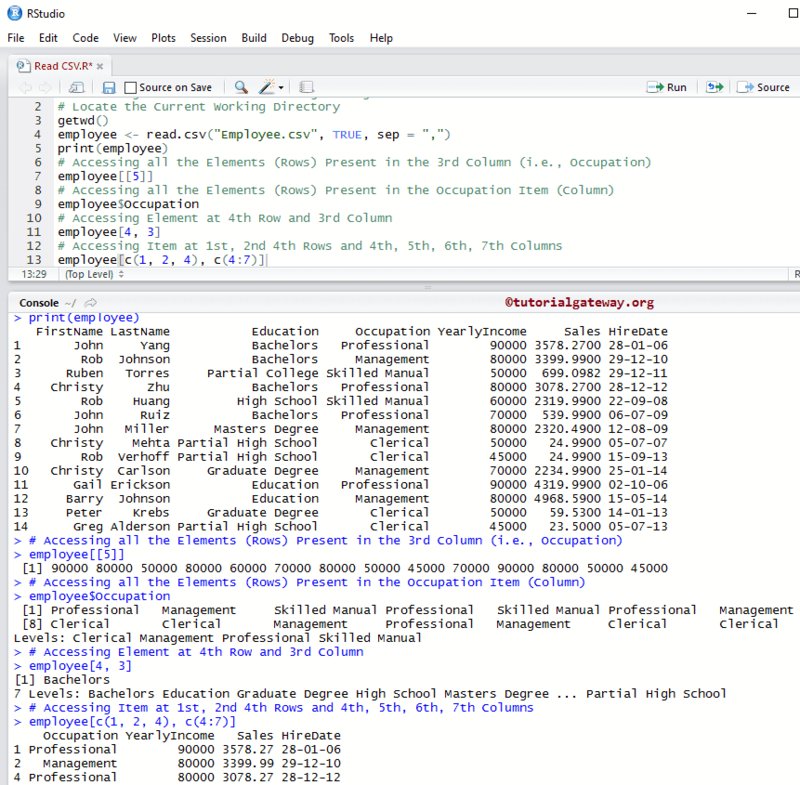 Following functions are some of the most useful functions, while working with csv files in R programming. nrow: This method will return the total number of Rows present in the CSV file. 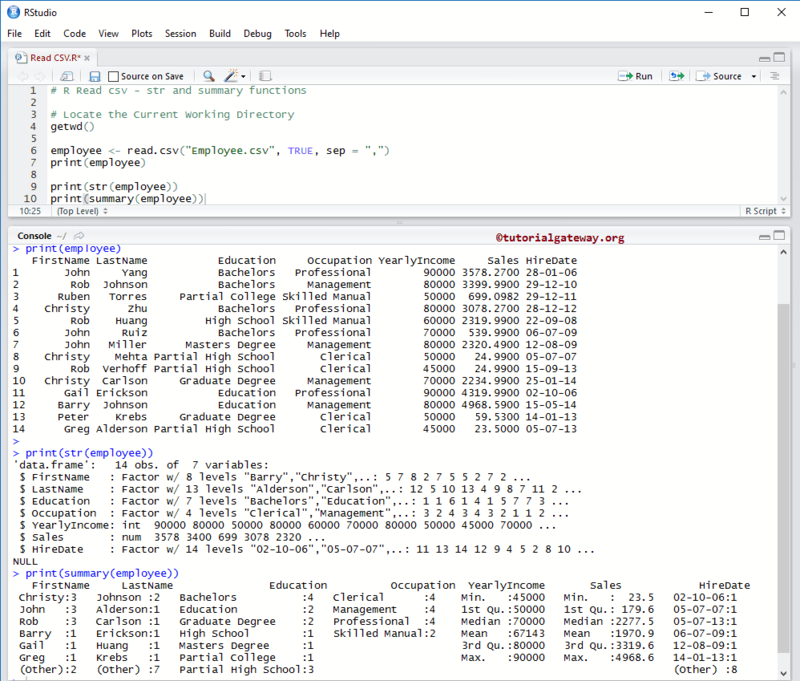 ncol: This method will return the total number of Columns available in the CSV file. 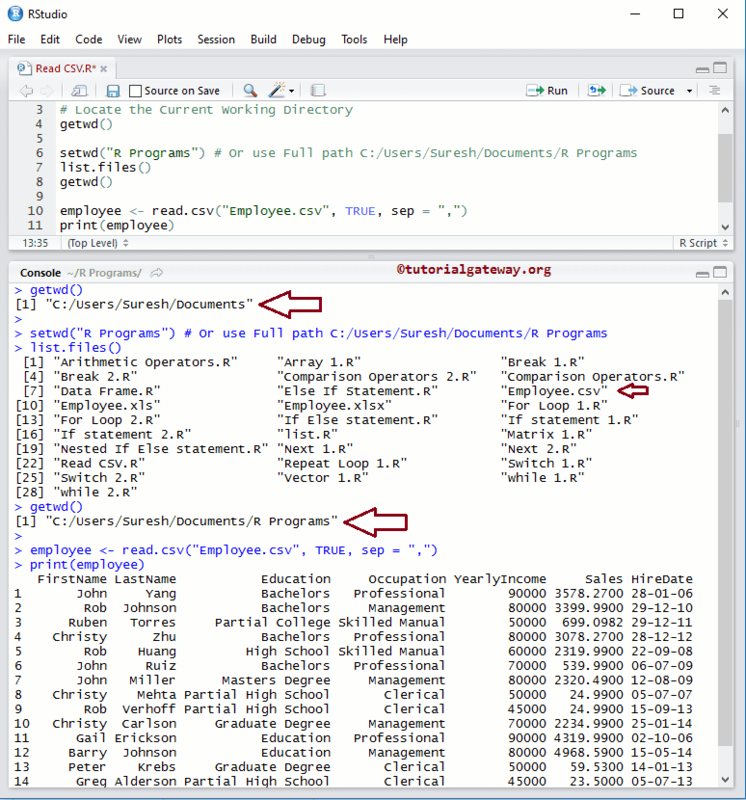 dim: This method will return the total number of Rows and Columns present in the CSV file. head(Data, limit): This method will return top six elements (if you Omit the limit). If you specify the limit as 3 then, it will return first three records. It is something like selecting top 20 records. tail(Data, limit): This method will return last six elements (if you Omit the limit). If you specify the limit as 4, it will return last four records. It is something like selecting bottom 10 records. 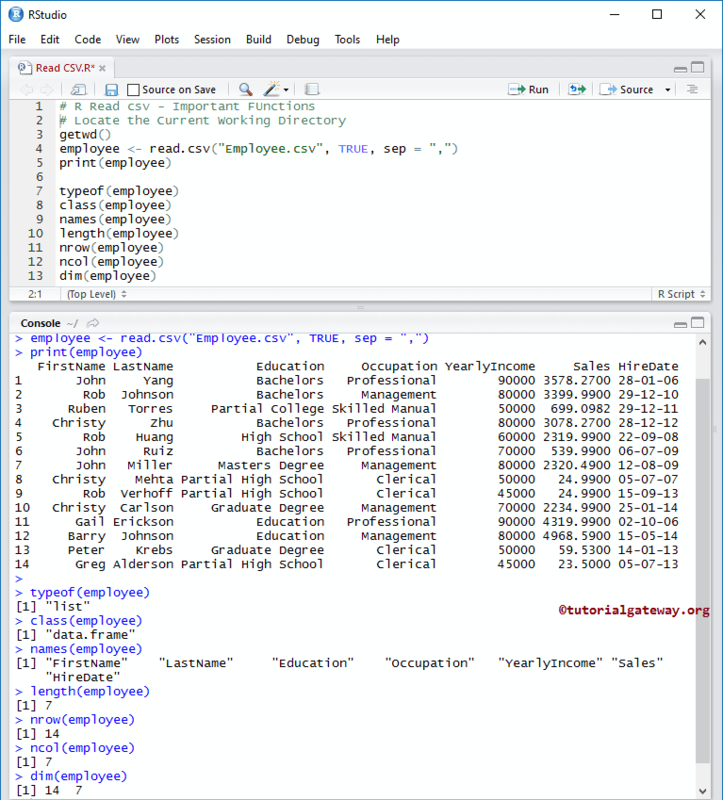 str(Data): This method will return the structure of the data present in the csv file. summary(Data Frame): This method will return the nature of the external data, and the statistical summary such as: Minimum, Median, Mean, Median etc. If your csv file contains both character and numeric variables then the character variables get automatically converted to the factors type. To prevent this automatic conversion, we have to specify stringsAsFactors = FALSE explicitly.